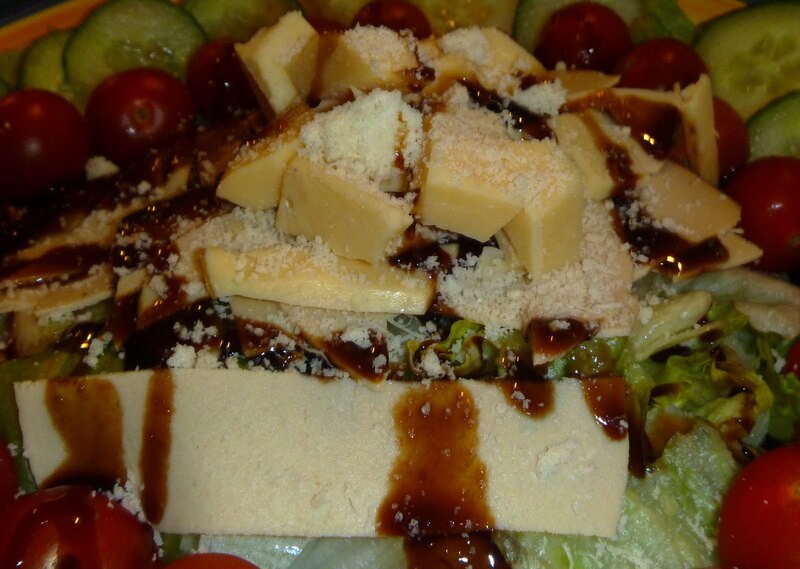 On the third day of National Vegetarian Week, here is a delicious salad to sample. A simple salad makes the perfect meal for a sunny day. 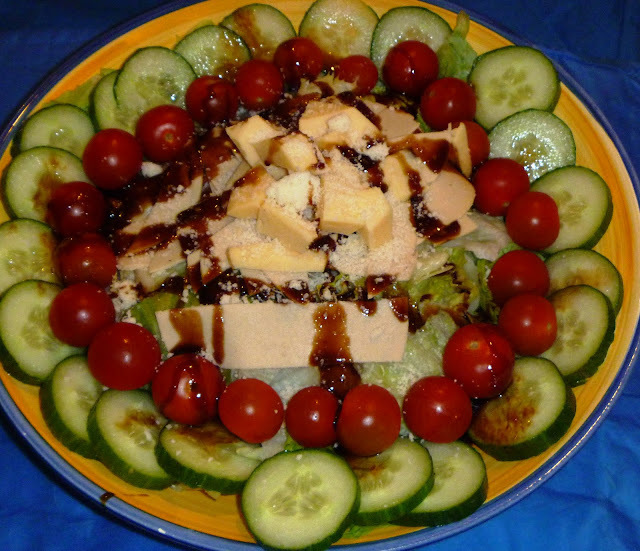 The Quorn Chicken adds flavour to the salad and provides contrast to the Edam cheddar. To dress this salad, I used a Balsamic Vinegar reduction which is a delicious ingredient from the My Secret Kitchen Range. It is made using pomegranate molasses for sweetness and so provides a uniquely intense flavour. If you are a meat eater, why not try replacing your sandwich meat this week with a packet from the range of Quorn vegetarian deli slices? 7) Drizzle with the Balsamic Vinegar Reduction and serve.